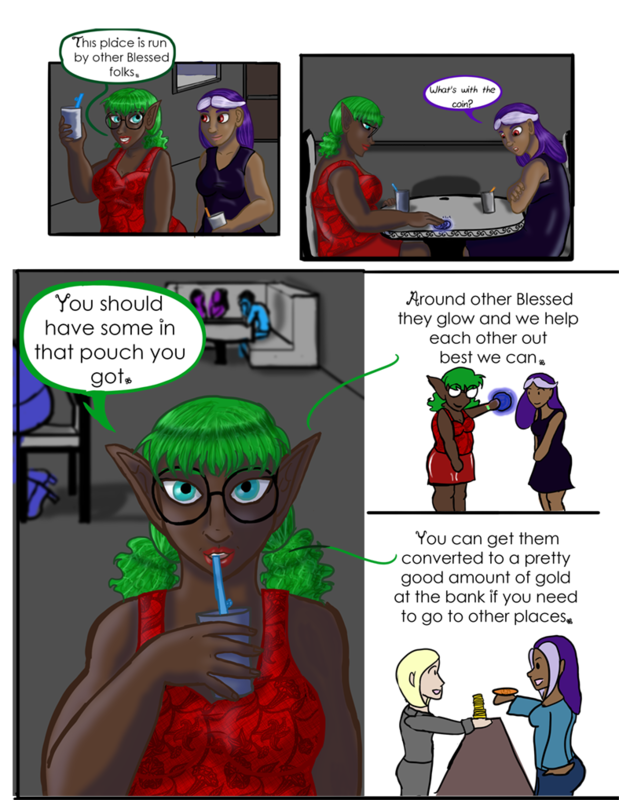 Chapter 02- The Pub - "Chapter 2 Page 1"
Shirley: This place is run by other Blessed folks. Wynn: What’s with the coin? Shirley: Around other Blessed they glow and we help each other out best we can. Shirley: You can get them converted to a pretty good amount of gold at the bank if you need to go other places.